2 Awards in 1 Amazing Night! All in one Amazing Evening! 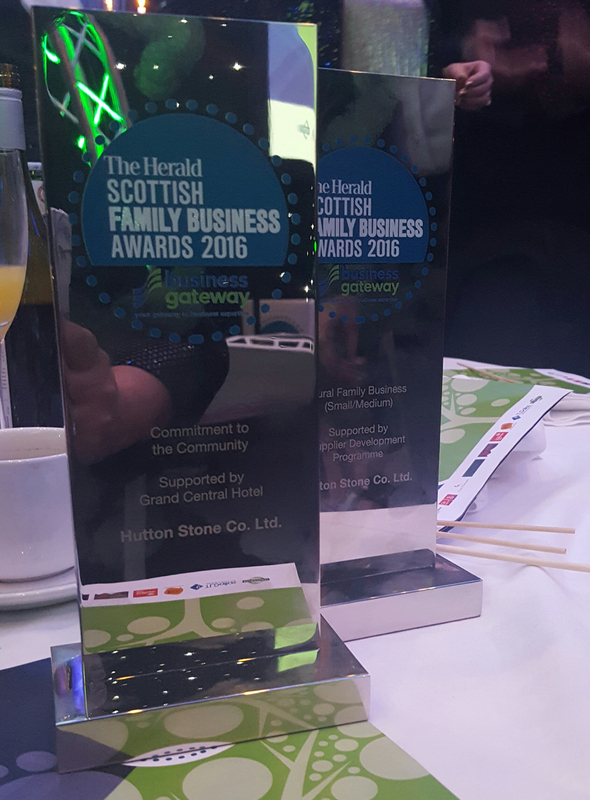 We are incredibly honoured to have received 2 awards in The Herald Scottish Family Business Awards 2016 in association with Business Gateway Rural Family Business (small/Medium) and Commitment to the Community. The event was hosted on the 7th December at The Grand Central Hotel in Glasgow. The awards celebrate Scotlands Top family firms and was attended by over 320 guests, it was hosted by Sanjeev Kohli with key speaker Jeanette Forbes from the PCL Group. The awards celebrate many businesses that play vital roles in Scotland. We had the pleasure of jointly accepting the Rural Family Business award (Small/Medium) along side Scotlight Group, the award was supported by Supplier Development Programme. The awards celebrate Scotland’s Top family firms and was attended by over 320 guests, it was hosted by Sanjeev Kohli with key speaker Jeanette Forbes from the PCL Group. We also greatly received the Commitment to the Community award supported by the Grand Central Hotel Glasgow. The Outstanding Contribution Award, supported by Strathclyde Business School, was won by Dr Robert Graham and Grahams Family Dairy, for the valuable contribution he has made to the family business sector in Scotland. The Scottish Family Business of the Year (Small/Medium) accolade, supported by Clydesdale Bank, went to Anderson Maguire Funeral Directors. The Scottish Family Business of the Year (Large), supported by Craig Corporate, went to DRG – Di Maggio’s Restaurant Group. Business Gateway supported the Fastest Growing Family Business Award, which was awarded to Campbell & Kennedy. The Business Innovation award, supported by Campbell Dallas, was presented to Douglas Laing & Co for its use of branding and marketing. This year the International Growth Award, supported by Burness Paull, was awarded to RP Adam (Arpal Group) which employs more than 100 people in the UK and Middle East. The Customer Service Excellence Award, supported by TL Dallas, was awarded to Scotlight Group for impressive customer satisfaction. The Green Family Business of the Year, new for 2016, was given to Elan Hair Design. The Rural Family Business (Large) was handed to Gleaner Oils, judges being impressed with their staff of 190 and the support they provide for their employees. It was a real pleasure for us to attend these prestigious award. The awards are an incredibly achievement for us here are Hutton Stone, and we are extremely proud to bring the awards home to share with our highly dedicated, hard working Team. You can find out more about the awards here: or take a peek at the official YouTube video below . . .